A LEGACY BUILT FOR THE FUTURE. 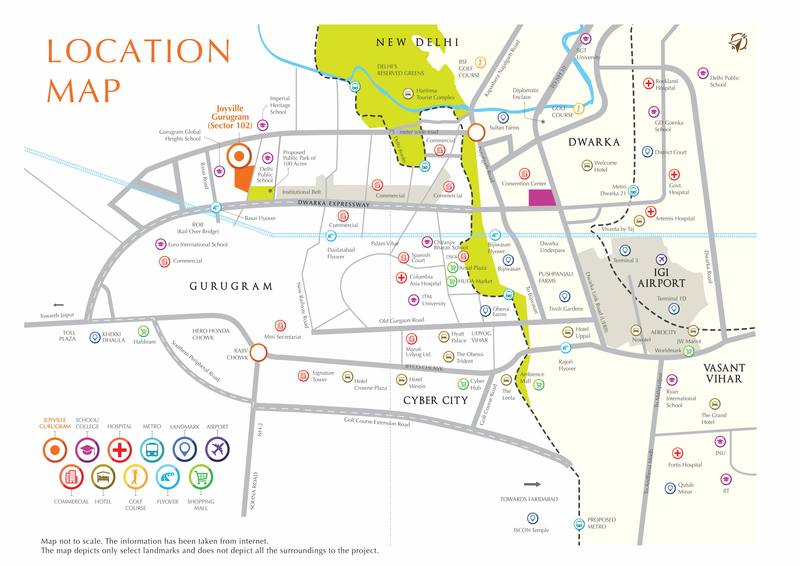 Shapoorji Pallonji has constantly and consistently delivered perfect examples of finest landmarks. From building projects to carving a niche for themselves, the group has maintained their leadership in the industry for over 150 years. JOYVILLE - WHERE OPPORTUNITIES COME HOME. 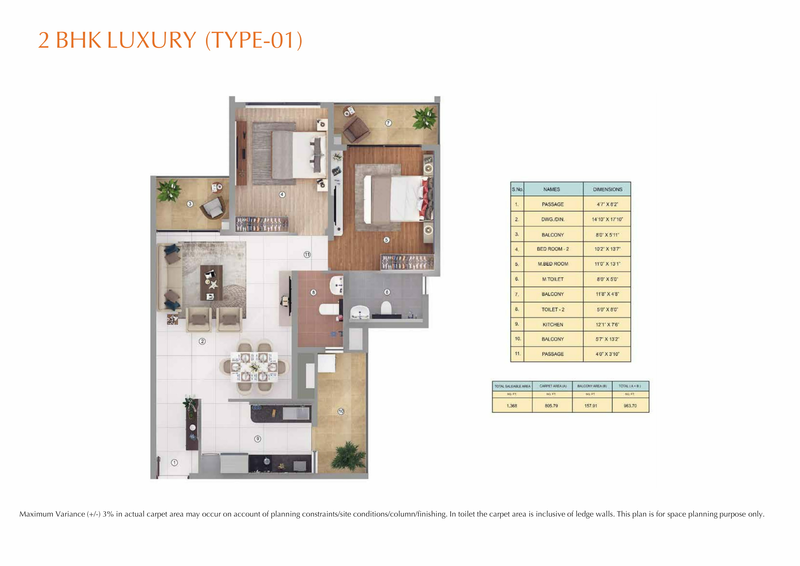 Joyville is a one-of-a-kind residential complex that offers not just homes, but a way of life that empowers the residents with the best of everything. 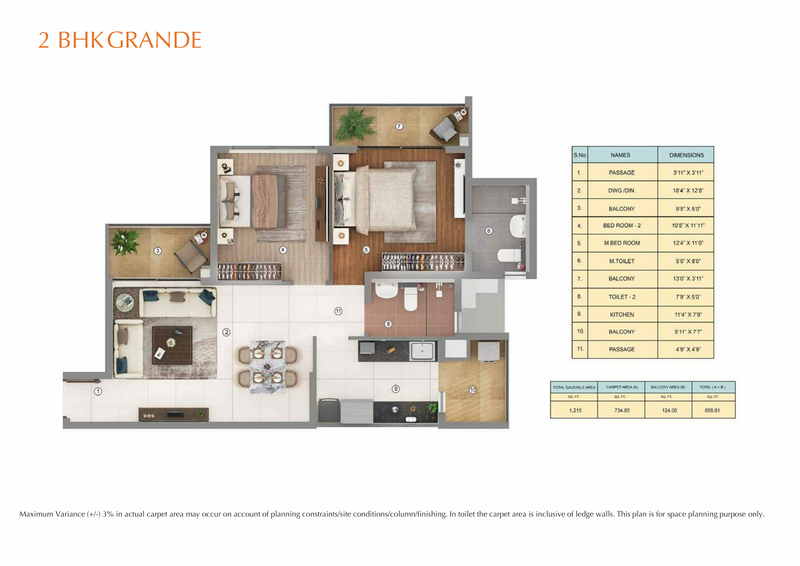 Each home is built to perfection and adheres to the highest standards of quality and efficiency. 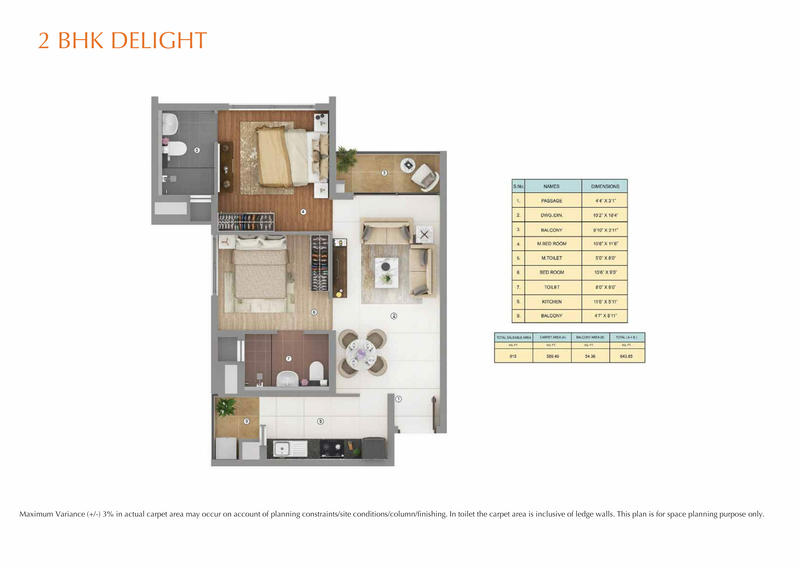 The rich Joyville lifestyle offers a plethora of amenities and features that provide maximum value. 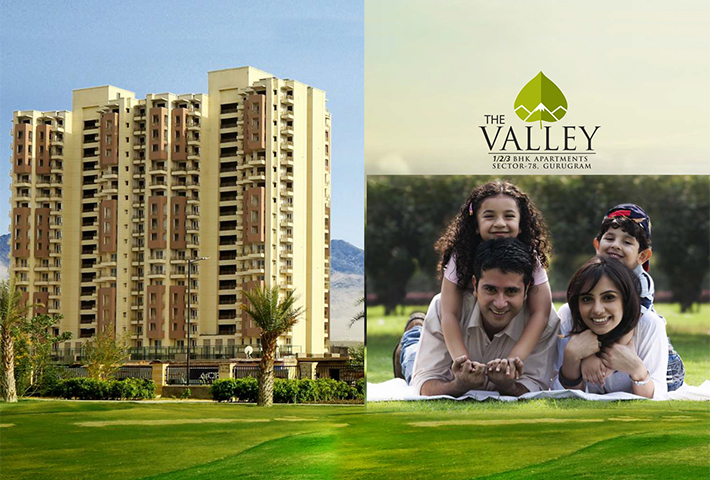 It came into being after Shapoorji Pallonji, Actis, International Finance Corporation and Asian Development Bank, decided to come together and invest in real estate development. 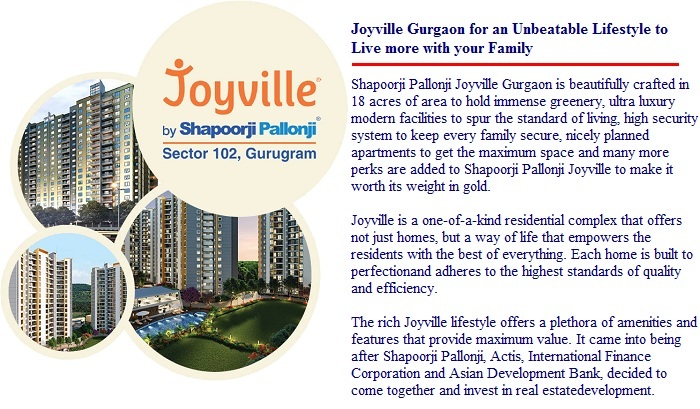 The project Shapoorji Pallonji Joyville Sector 102 Gurgaon is located at a strategic location of sector 102 which is not only known as a developing area but also holds excellent connectivity with the rest of the city and nearby cities which is the biggest positive for this project. 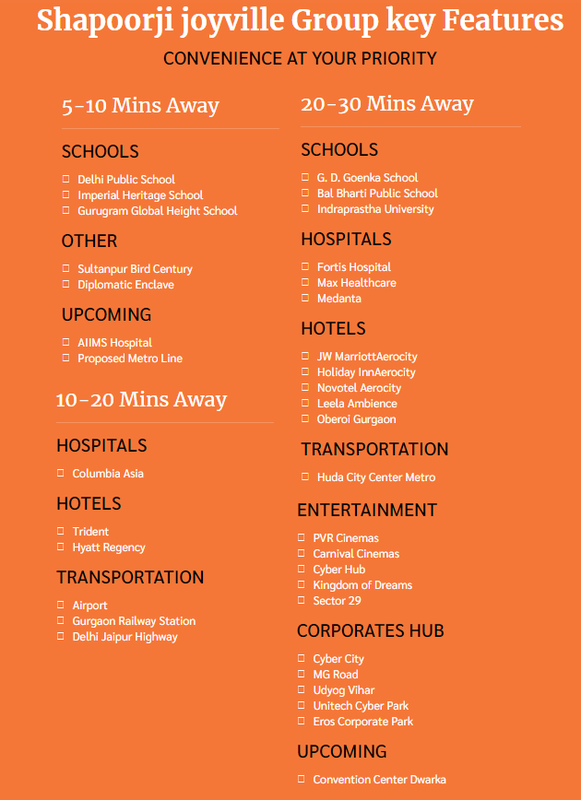 There are all the routine facilities available near this project which includes schools, colleges, shopping malls, multiplexes, restaurants, and the market as well as banks. 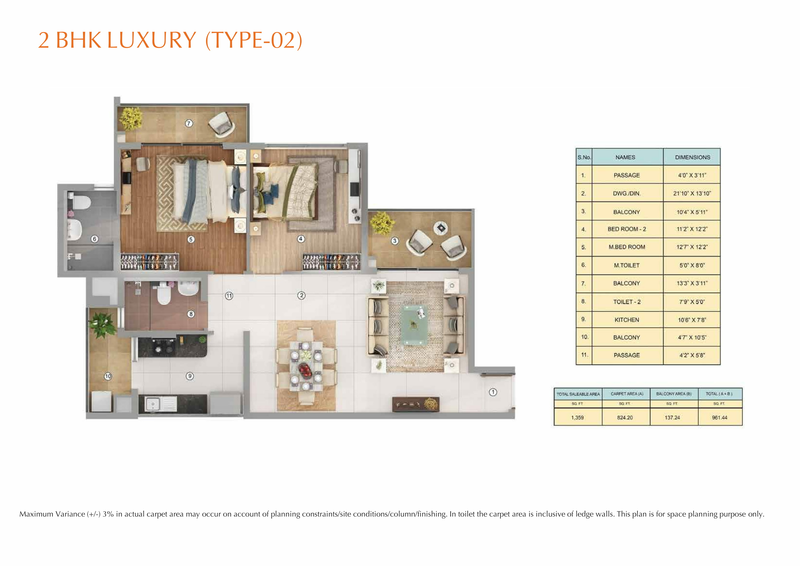 Hence for the dwellers here, it can offer a high quality living with all the facilities near the home only. 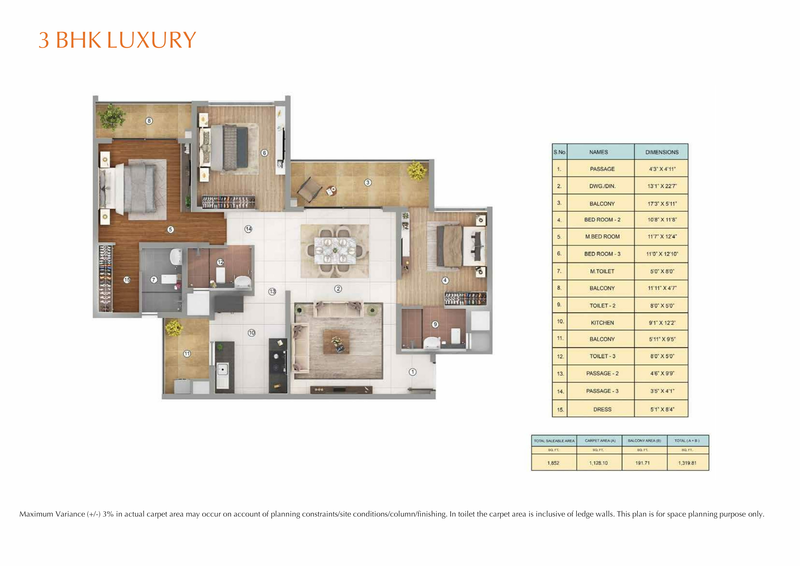 Hence, if one wants to have the comfortable life with the premium property, this property is the right option to go for. 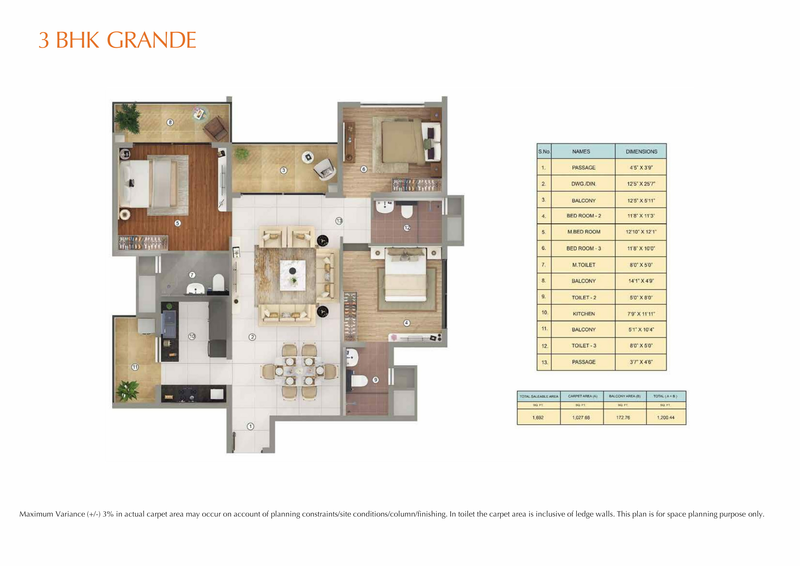 It is a combination of quality living at a premium location which can rarely be seen.